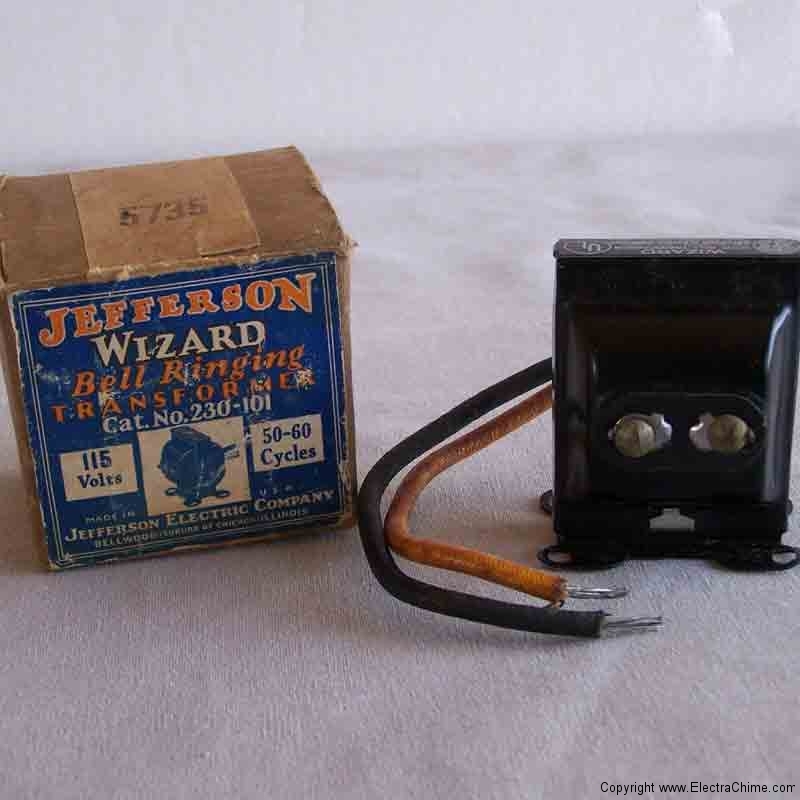 The doorbell transformer made modern doorbells and door chimes possible. No longer to the sound of your doorbell depend on a charged battery. Transformers stepped down electricity to a low voltage which added safety and reliability. 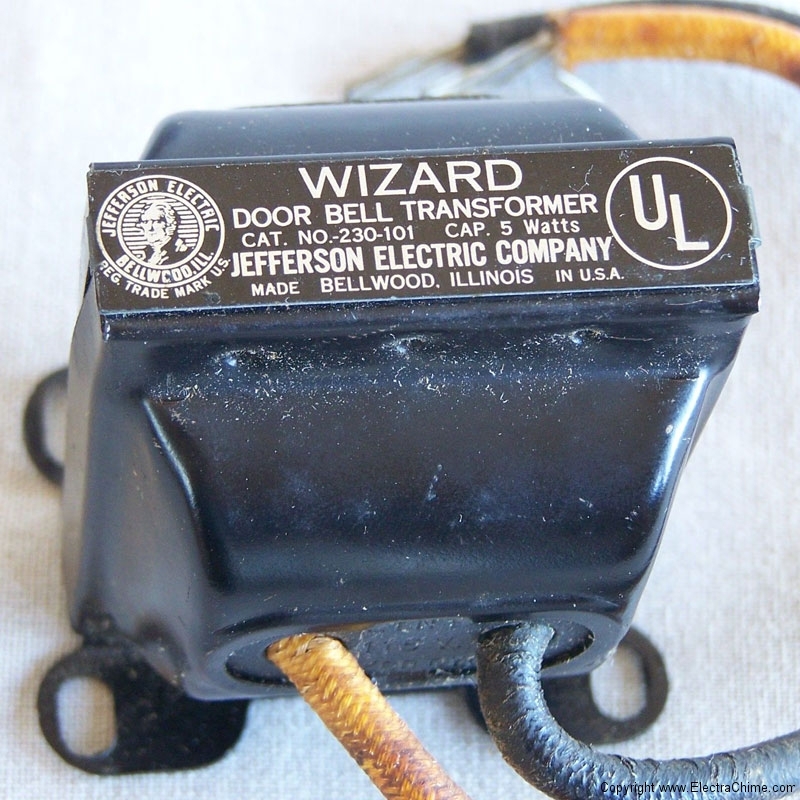 The Jefferson Wizard transformer is typical of transformers in use to this day. 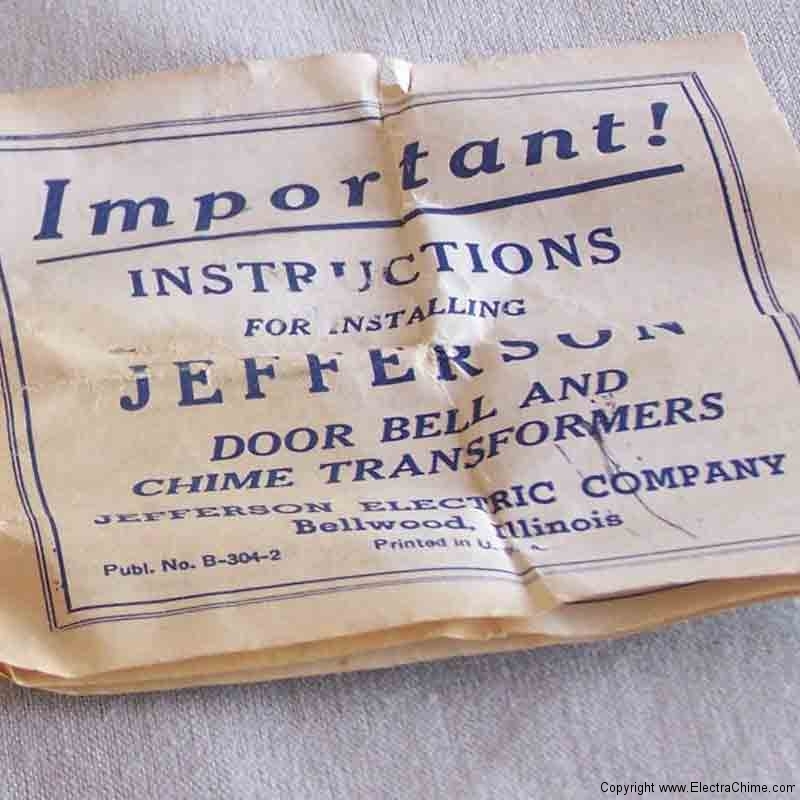 The Jefferson Electric Company featured a drawing of noted inventor and United States President Thomas Jefferson in their trademark.